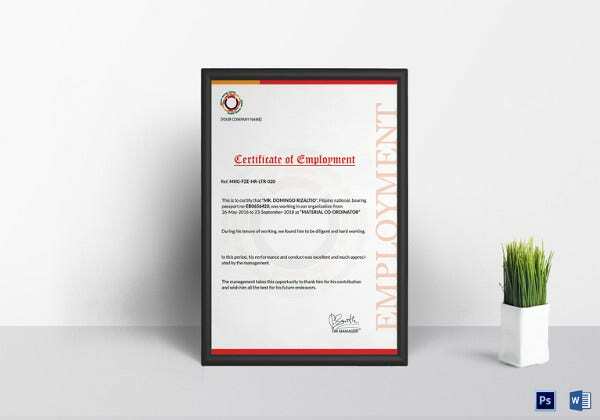 On completion of a certain task or project, usually, a certificate is awarded to acknowledge it. It is a recognition of the effort put in by the worker into the project. The document is formal and has a standard pattern that is to be followed stringently. 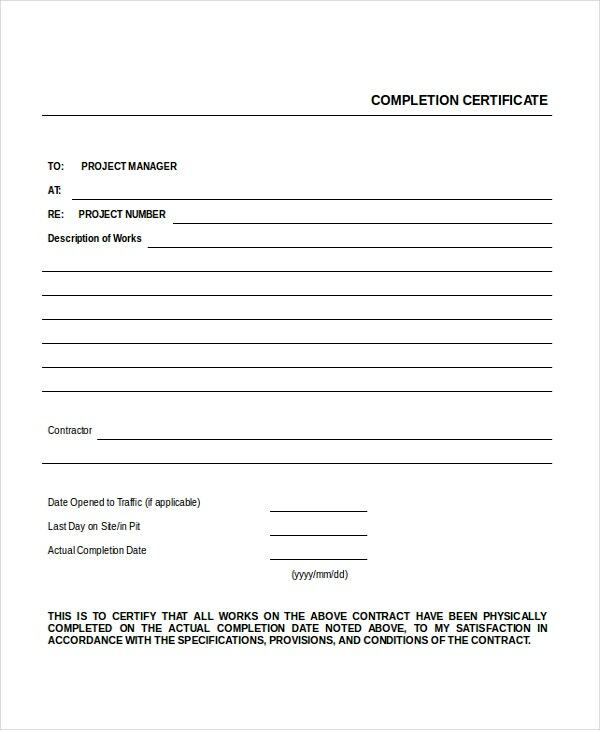 However, if you are not particularly sure of the pattern of such work certificates, you could always take a look at a work completion certificate template. 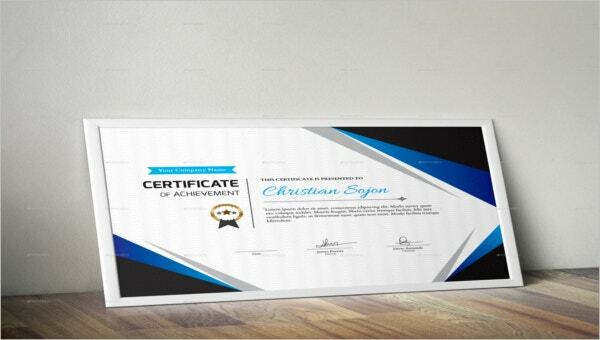 You may also see Share Stock Certificate Template. This work experience certificate program has been developed specifically for part-time programs and initiatives that are organized by various companies. It consists of a neat and organized pattern where you can insert your own details. 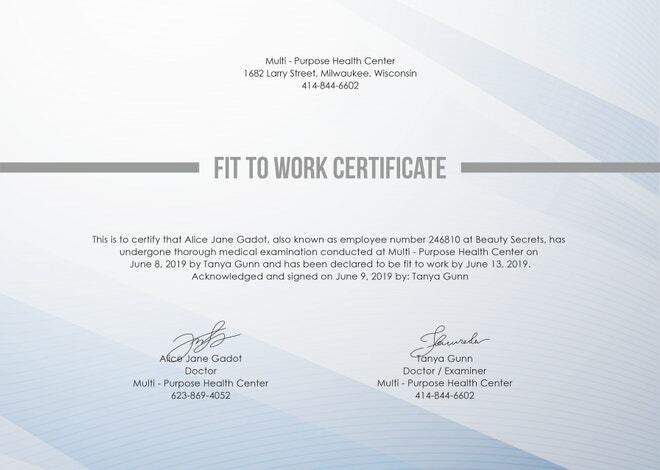 You may also see Training Certificate Templates. This work experience certificate program has been developed specifically for part-time programs and initiatives that are organized by various companies. It consists of a neat and organized pattern where you can insert your own details. 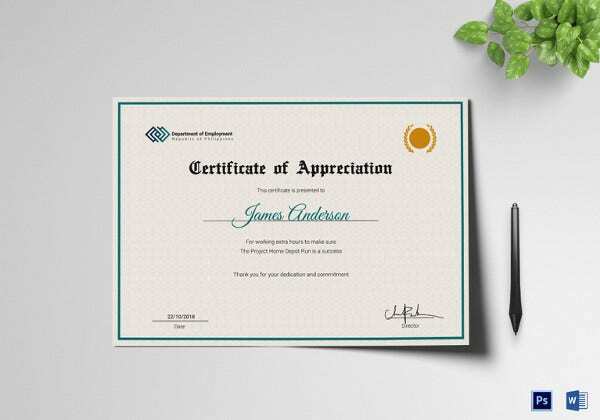 This certificate would be appropriate if you’re trying to create a certificate for those volunteering at your organization. It comes in a Word format which makes it relatively easier to edit and customize. 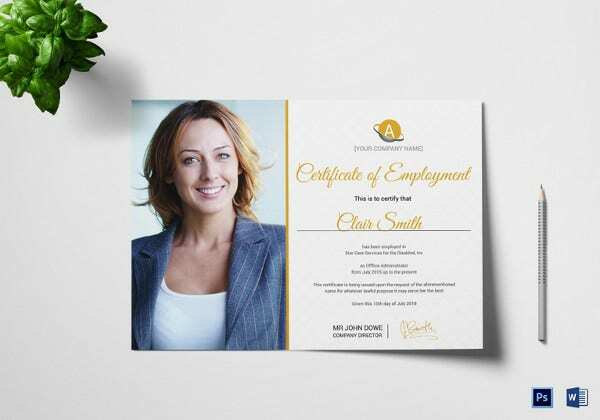 This work completion certificate also comes with a logo and a heading, which makes it look all the more elegant and sophisticated. 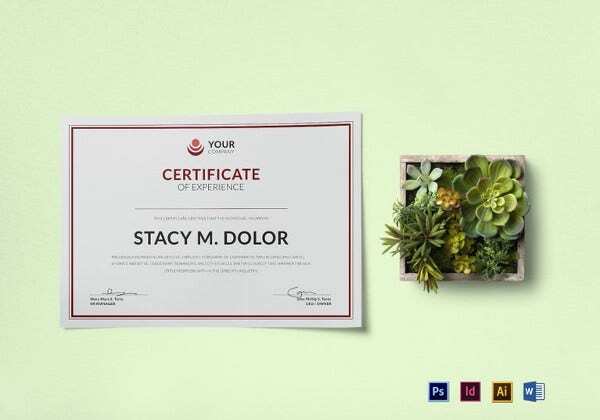 Also, it adheres to the standard format of such a certificate. 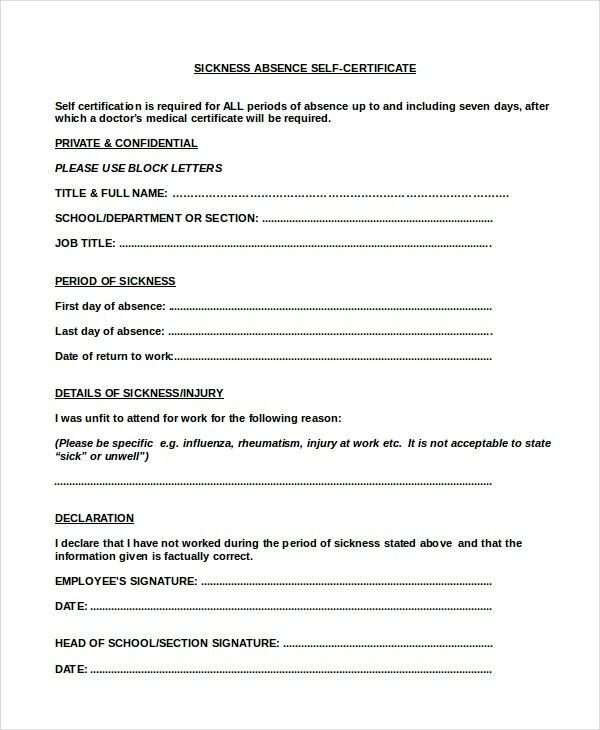 This template can be used to write a recommendation letter to your employers. You would be able to add your remarks and even your own inputs into the template once you download it. 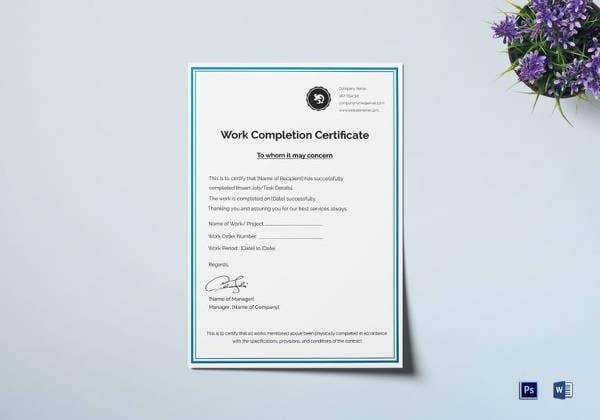 > What are the Benefits of Using Work Completion Certificates? As a detailed recommendation letter for an employee who worked at your organization. 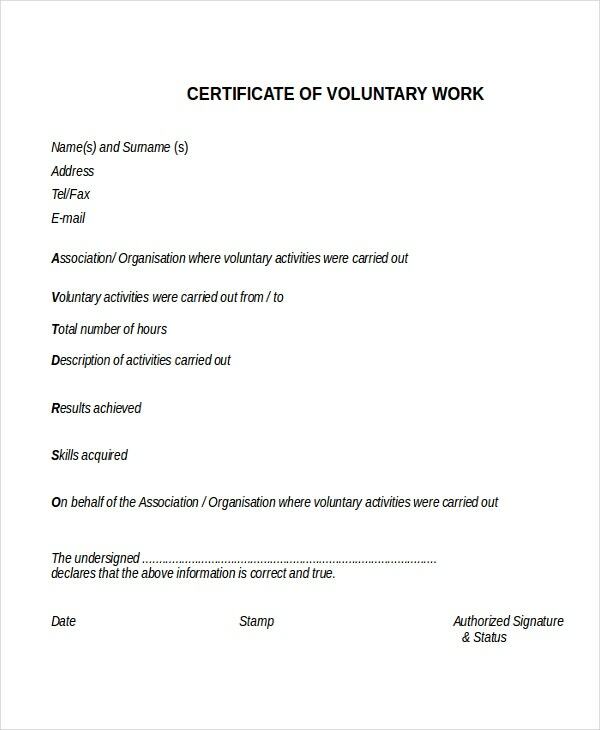 As a certificate for volunteers or part-time workers. As recognition of excellence or good work that was completed by someone. As a record of the work that was carried out during a project or a certain task. > Why go for Work Completion Certificates? 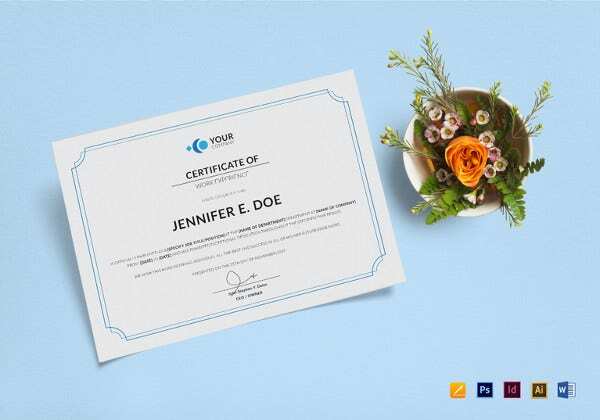 After the conclusion of a task or project, it is mandatory to award a certificate of completion to all those who worked on it. These certificates are formal documents that can be utilized for official use. 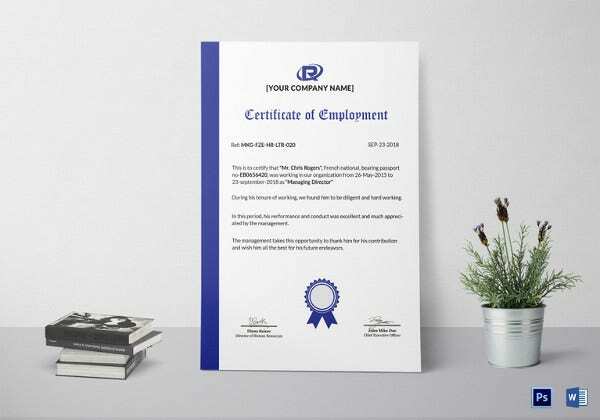 Moreover, like all certificates, these too have a standard, fixed format which you must abide by. To have a clear idea of the format, you could take a look at these templates which could be used in multifarious ways. 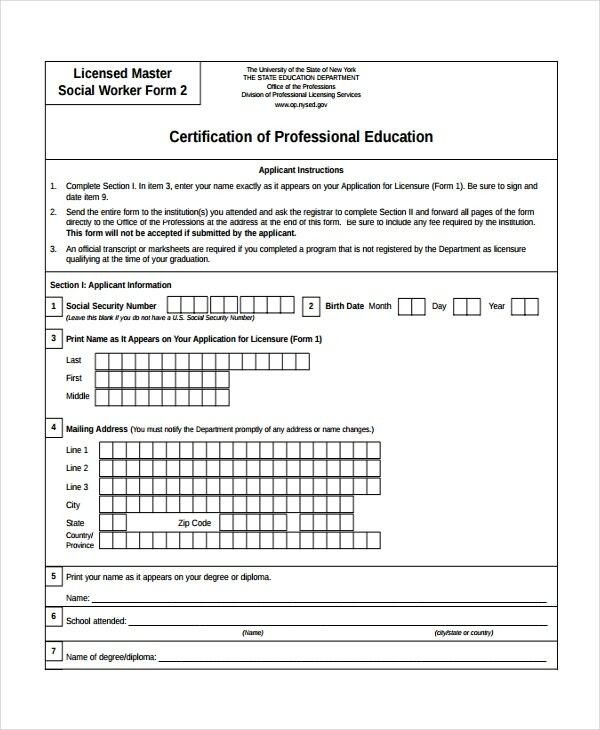 And let’s not forget, these certificate templates would surely reduce the hassle of typing a fresh certificate every time you are required to do so. 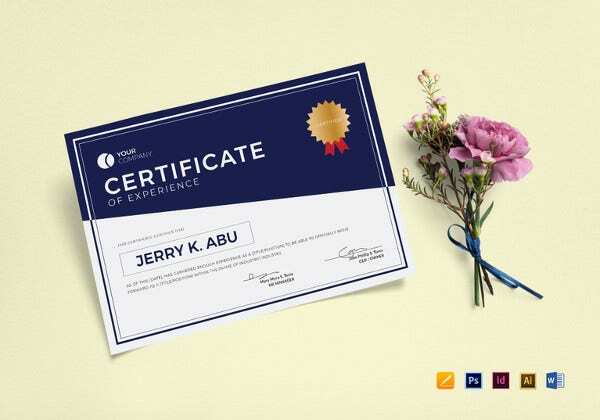 You may also see Photography Gift Certificate Template. > How to Use Work Completion Certificates? 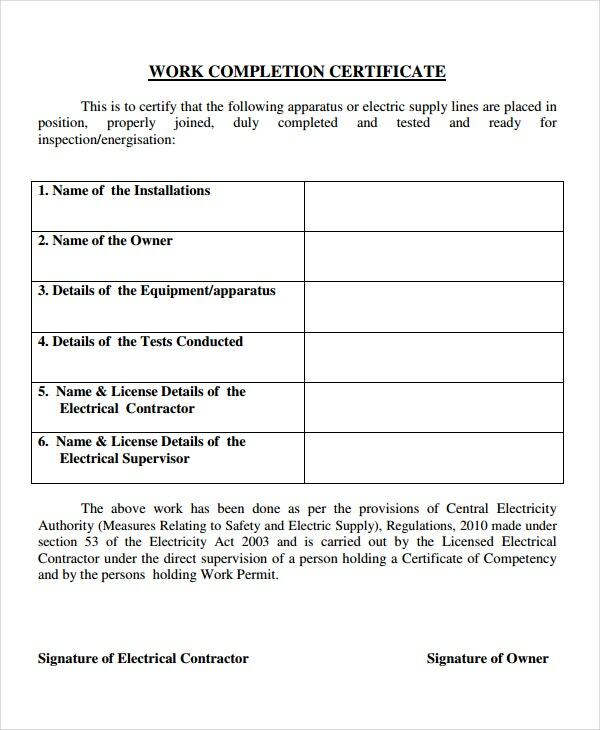 Most of the work completion certificates that you see here come in a Word format. That makes them really easy to use and edit. If you like the look of the template, you would just have to click on the download option. 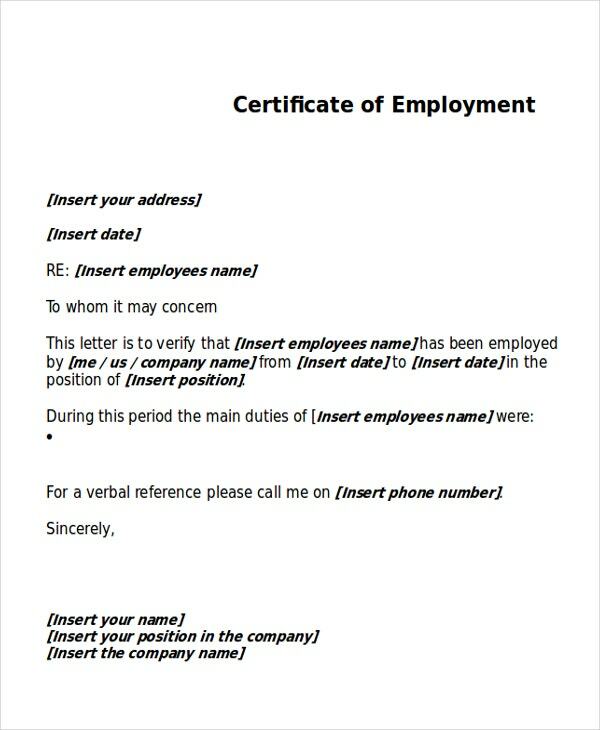 Having done that, you can start editing the details on the certificate and fill in the blanks. However, you need to ensure that you stick to the pattern that’s been provided to you. 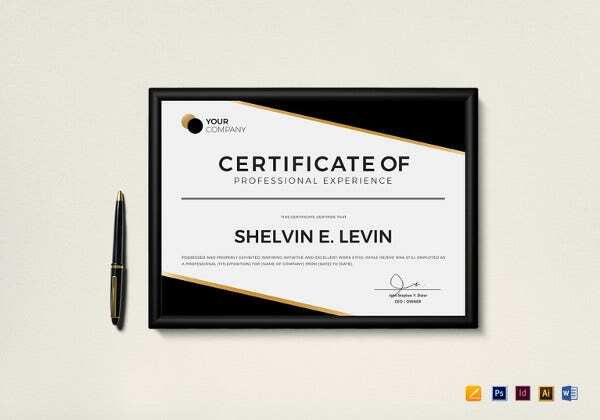 Once you are satisfied with the layout, you can just print it and used it as a recommendation letter or as a certificate of excellence. You may also see Participation Certificate Template. 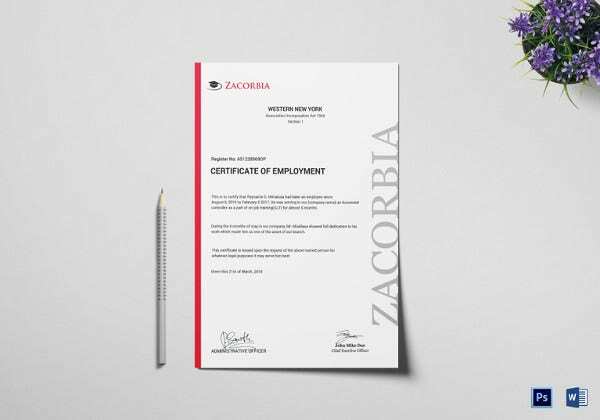 Have you been looking for amazing employment certificates? Then you cannot afford to miss out on the stunning templates here at template.net. All of them have been designed by professionals who know how significant a work completion certificate is. These templates are formal, creative, neat and devoid of flashy designs.